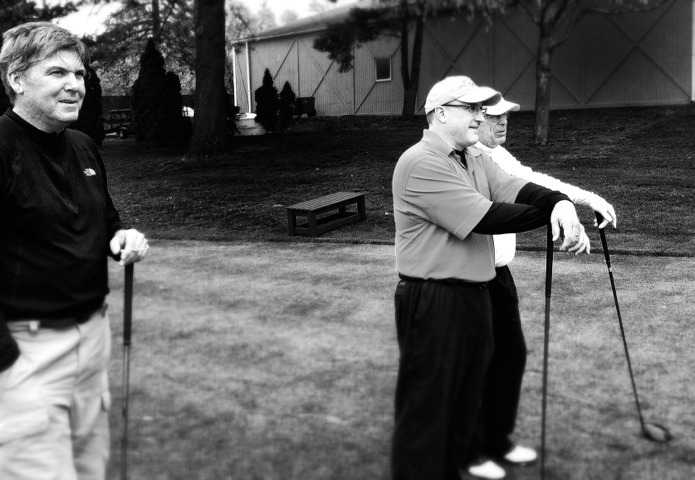 When I started this blog, I had in mind what could pan out with mindful attention to golf. Would it improve my life? Would it make me a better man? Would my golf get better? 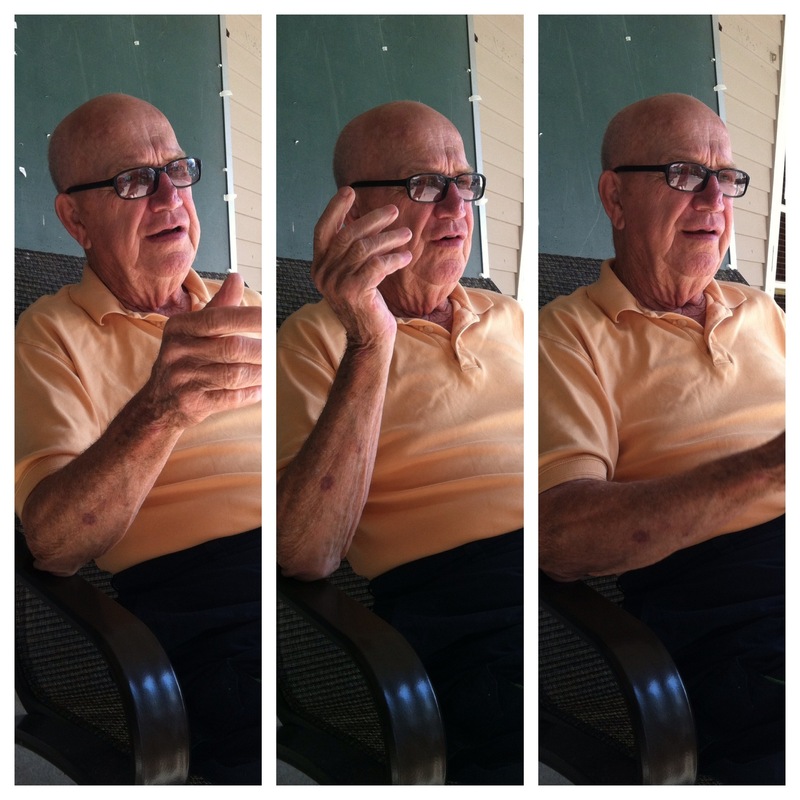 One of the first people I turned to in this endeavor was Mr. William Rose, the emeritus golf professional at the Wakonda Club, and a quick sitdown with him was one of the last things I did at Wakonda before I took off for Ohio. Born and raised in Duluth, Minnesota, Mr. Rose learned to play golf there and after he was demobilized from the Korean War, he joined the professional staff at the Evanston Country Club headed by the recently retired Johnny Revolta. Johnny Revolta, winner of the 1935 PGA Championship along with 25 other titles as a touring pro. Mr. Rose earned his craft from this great teacher and moved to Iowa, taking the position of head golf professional at the Wakonda Club in 1960. Since that time, Mr. Rose tells me, the club has changed much and not at all. He remembers the club in a very different time when Wakonda was the sun around which everyone’s social and recreational orbits were centered. The pinnacle of that time was when Wakonda Club hosted the US Amateur tournament in 1963, the one where Deane Beman, future PGA Commisioner (the one who Jerry Pate tossed into the water hazard after winning the TPC at the TPC Sawgrass), won. The bridge from #18 tee to the fairway is called the Beman Bridge in honor of that victory. When I was learning piano, I had a thought. What is the lineage of my teacher? If you trace back your teachers to their teachers, could you track the roots back to Beethoven, Mozart, Haydn, or Bach? For example, my basic chemistry teacher in college was Dudley Herschbach who won the Nobel Prize in Chemistry soon after I finished his Intro to Chemistry course. When I teach my son about atomic valence, he should know that he is one step removed from a Nobel Prize winner. Here, with Mr. Rose is a connection to the broader world of golf beyond Wakonda Club, but I always suspected that Mr. Rose had a great mystical connection to golf. Teachers talk about greatness to inspire their students, but the great teachers inspire greatness from their students, even from the first moments. I remember in 2005 chipping twenty footers with desultory results when Mr. Rose shouted, “point your club at the hole on the follow through.” I made the next chip into the cup and Mr. Rose shrugged and walked away with his students who were as mystified as I was. At my first lesson with Mr. Rose, he told me to use only half of my energy in swinging the club -that golf shouldn’t be so hard. Within five minutes, I was hitting pure iron shots, two of which hit the pin at 150 yards! I wrote down whatever I could remember from those lessons, but what stuck was the point about golf not being a hard game unless you made it difficult. The same could be said about life, I suppose. 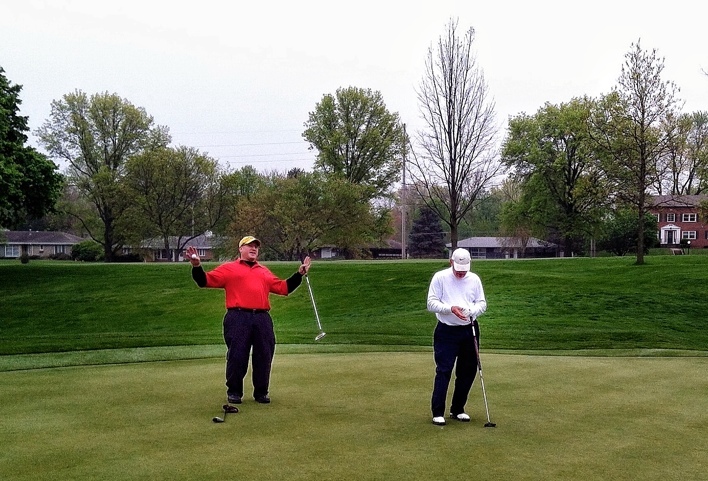 In this my last year of golf at Wakonda as a member and resident of Iowa, I had hoped to make a splash by taking a winning turn at the Wakonda Club’s annual Blazer Days tournament. 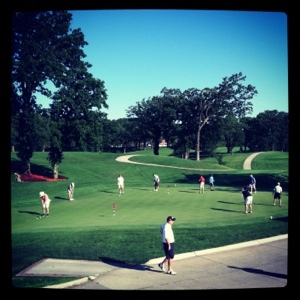 Blazer Days is a member-guest best ball tournament played out over 5 nine hole matches. There are 6 teams in a flight, and this year, there were ten flights (the tournament was oversubscribed). USGA rules apply and it is organized in such a tight manner that not a single player among the gathered type A personalities (120 in all!) could complain about a single blade of grass being out of turn. The success of this tournament reflects the success of the Wakonda Club in weathering the trends of the past two decades without losing its soul as a private country club, and it has to do with three key factors. 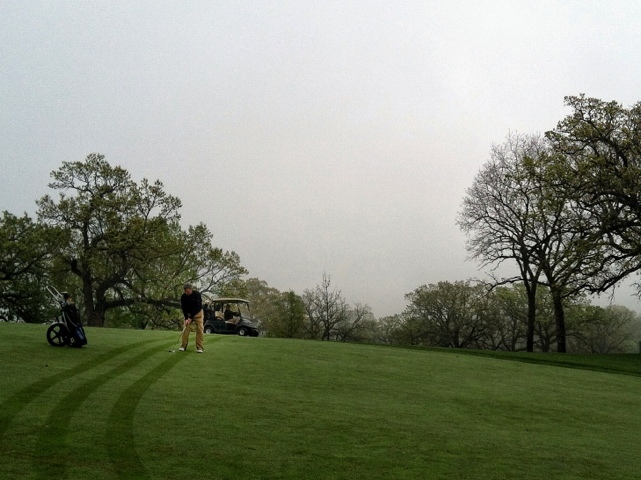 First, the golf course is kept up to world class conditions with a fierce determination. Second, aggressive marketing to the future of the club, young families, is done both loudly and quietly. Third, and finally, the club is endowed with a critical mass of Iowans who by and large are the most reasonable, generous, and sweet-minded people on this earth. My Blazer Days started auspiciously with a practice round skins game that delivered to me a skin on the first hole with a par -the only one scored that day, and ended with a 2nd place finish in the Derby -the highlight of which was my draining a 5 footer for par in front of a crowd of about a hundred of my golfing peers. The day of the tournament started with a terrible accident. I had laid my driver on the ground carelessly and hit it with a shanked ball off a 7 iron, cracking the carbon shaft at the grip. This took out the driver which I had been nailing above 50% onto fairways within 15 minutes of starting play. I swapped out for a loaner, but largely it sealed my fate. You see, golf is a confidence game. When I stood over that 5 footer for par the previous day, I had no fear. I had been practicing 5 footers relentlessly the past two weeks and it felt like I was all alone on the green. I was only aware of the sweetness of the air I was breathing and easy sound of the putter hitting the ball on the sweet spot. The clatter of the ball falling was a prophecy come true. What is amazing is how it can all be undone with something as trivial as a broken driver. I was able to hit 5 practice balls with the loaner and got the last two drives not to slice by making small adjustments. Without good drives, it doesn’t matter that you just drained a twenty foot putt for bogey to push -you can’t make miracle shots all day against a field as good as this. With confidence gone, the tournament was largely done. Even so, there was no question of walking off. Here was a golf obligation. Despite the heat, the dyspepsia of a 9am beer and foul balls launched off the course, I was signed on to the end -barring a calamity. I sometimes wish I could teach my sons this absolutism of golfing duty, but then again, I think that they may have too much common sense to put themselves into this situation. I then noticed something that took my mind off my personal misery -the greens were the slickest I have ever seen in my life but they were at the same time lush and green. 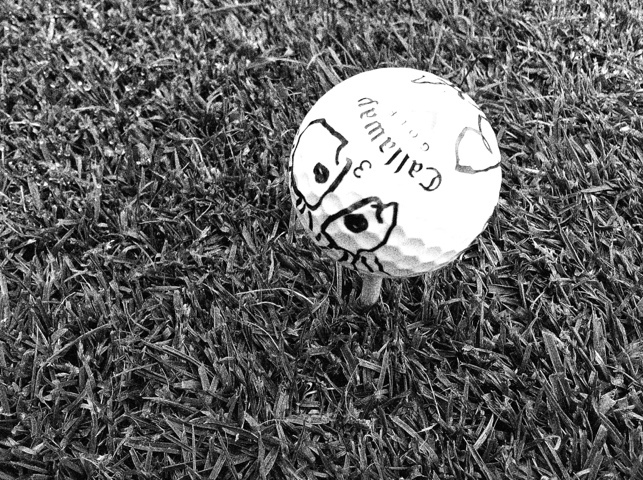 The putted balls rolled as if on smooth marble, but the grass was soft and would stop balls on a dime if they had back spin. The rough, no deeper than 2-3 inches on the cut areas, was tenacious as velcro. The fairways were like greens on lesser courses. On certain holes where the fairways ended on greens without false fronts, it was possible to putt on from 5 to ten feet off. The pristine fairways made the course gaudy. The course may never be able to host a US Open because it is land locked and unable to be extended to 10,000 yards, but it was Olympic’s equal in my eye because it was all mine for a time. 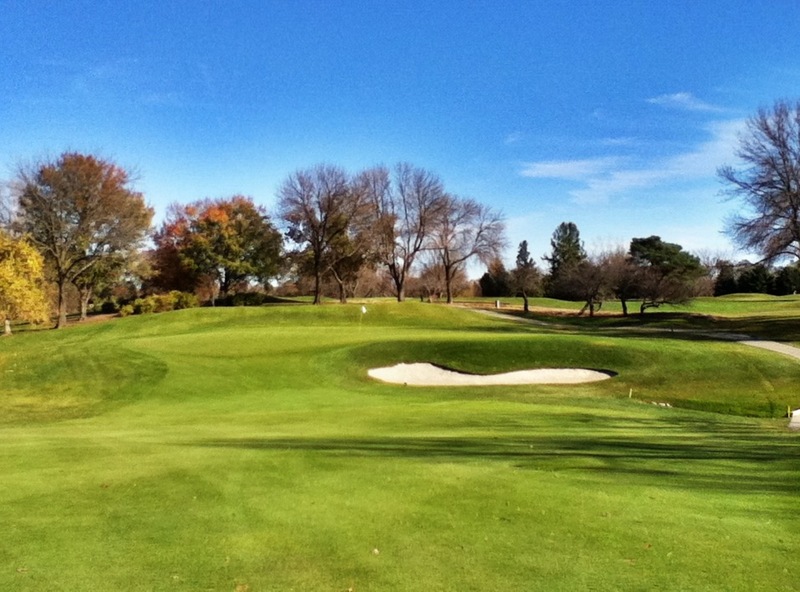 The supremacy of the golf experience has been the first key to Wakonda’s success. 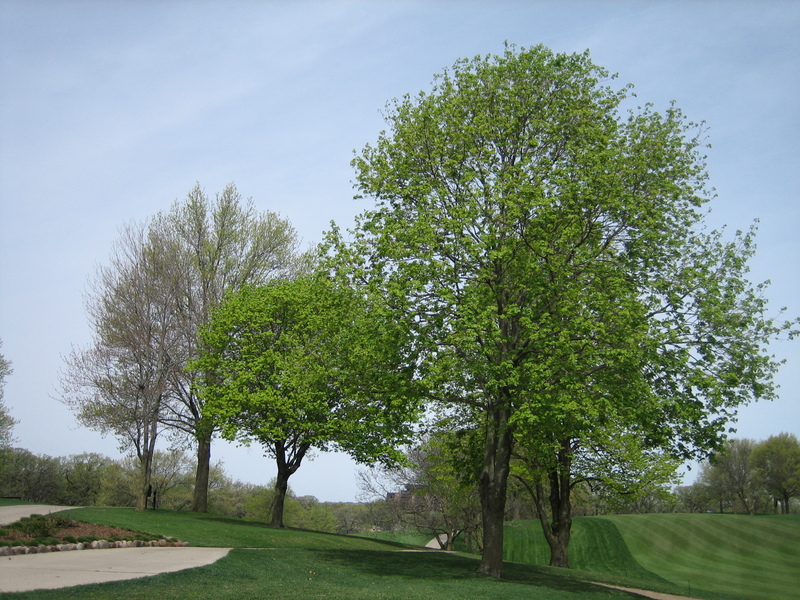 Four years ago, Wakonda decided to cut down over a 150 trees, scrape off the fairways and greens, and start over because the grass was inconsistent, and in parts frankly ugly with patches of Poa and old legacy Bent grass, each having sunshine requirements and water needs not met by a course that had aged since its inception with majestic but sometimes senile oaks (never mind the climate change, cough, cough). 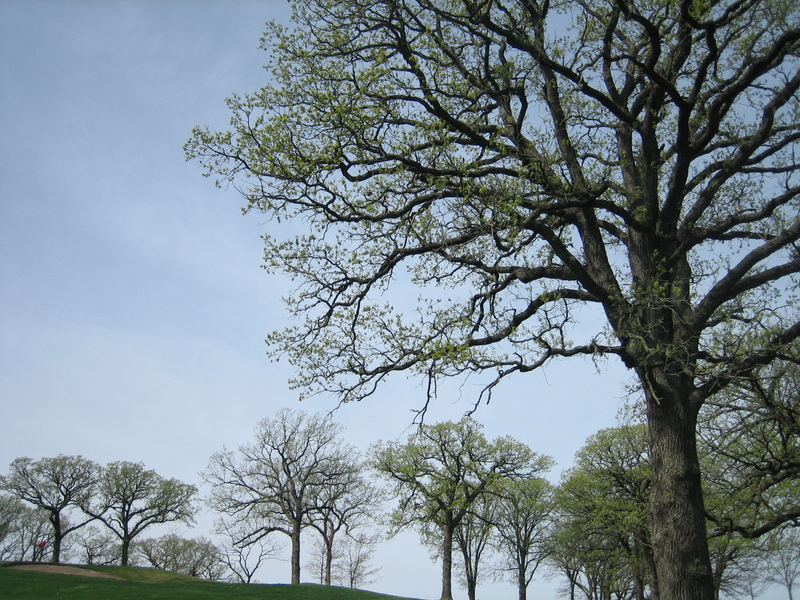 In the setting of the worst economic crisis of a generation, when the average age of members was rising, and when most of the membership was generally satisfied with the course, the leadership shut down the golf course for a year in the pursuit of perfect, unblemished, uniformly green grass. It was a huge gamble but in retrospect, the right move. Now, several years out, the grass is not only consistently great, it is resilient. The greens staff works tireless to create a premier golf experience and the avid golfer is immediately attracted to the logic of joining a club close to work with fellow members obsessed about golf perfection and excellent golf fellowship. Wakonda is full to the brim of avid golf amateurs -people who love and respect the sport and its traditions, golfists all. The two days of straight golf competition were gruelling but a fitting valediction to my time in Des Moines. It was beautiful and the people were great. 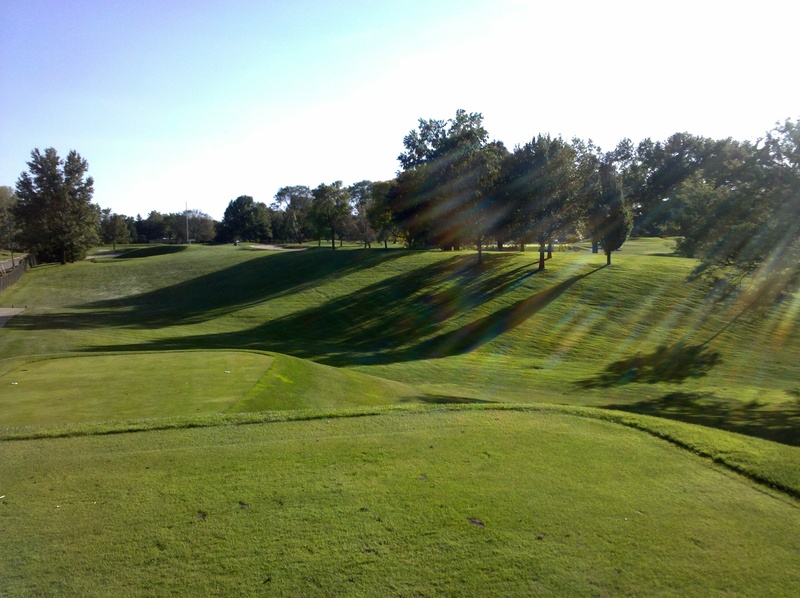 I played my first round of golf at Wakonda for 2012 yesterday. I was in fact the first one to play at 8am -usually there is a morning crew on Saturdays that plays early despite the elements but none were present. I suspect that they like everyone else, was waiting on the 60+ degree weather later in the day. 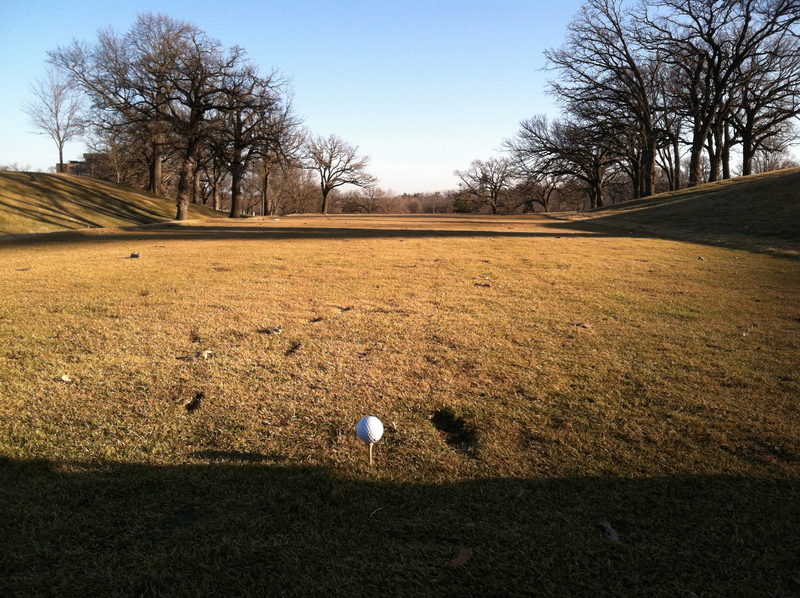 It was around 40 degrees when I teed off, but I was inspired. I parred the first hole which leaves me generally happy if nothing else happens during the round. It was the perfect drive that faded ever so slightly away from the blocking tree on the left and landed 170 yards away from the green. With the pin forward and middle and green elevated about 20 feet, with an aggressive 1-2 club wind cutting left to right, I barrel rolled a slightly drawn 5 iron that lifted into the cross wind and straigtened out, landing hard on the front slope and rolling without momentum onto the green, ending up 8 feet away from the hole. Missing the birdie, I made a 4 footer for par. The rest of the round was a story of trying to trick the wind, but I got handsy and it showed. The 9th hole capped a decent round for me with a par -an 8 iron sent 165 yards with a stiff wind at the back, landing on the fringe, a running chip to 4 feet, and putt for par. This leaves me with a great deal of hope for this year, my final year at Wakonda to hit par. And that is bittersweet because my favorite place to be in Iowa is at the Wakonda Club on a Saturday morning before sun up, when the pro shop and first tee are shrouded in blue twilight. May the ball ever find the hole for you. Father’s Day passed with several fun things happening. First, I got to play guilt free golf in the morning, and I shot an 84. 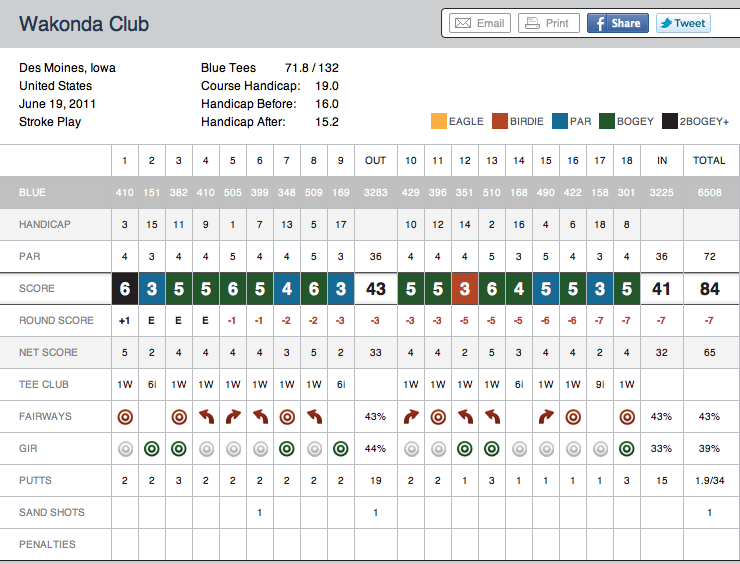 Given the goal of playing par or better by Halloween 2012, I feel good about my progress. 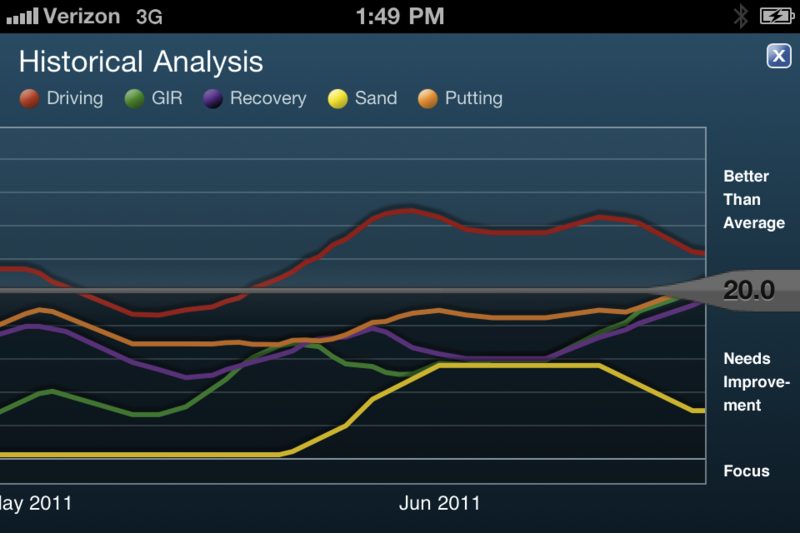 The secret sauce can be seen in the statistics from my Golfplan app. In May, I was suffering from inconsistent play, and despite daily practice, was unable to make progress. 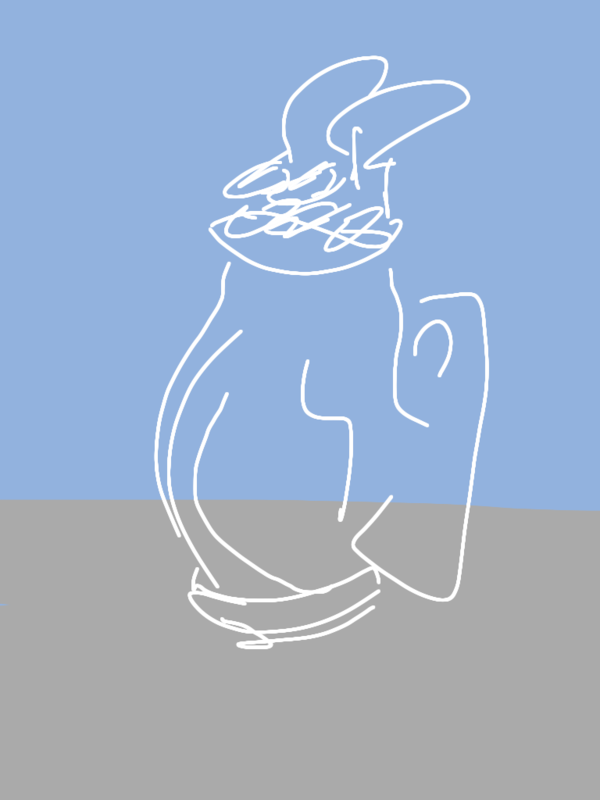 Then I realized that trying to fix your own golf swing is a bit like removing your own gallbladder -something theoretically possible, but highly unlikely in practice. 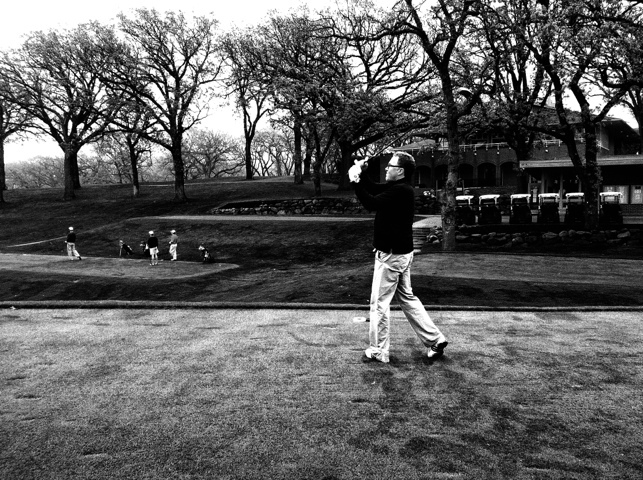 I sought professional help, and at Wakonda Club, we are fortunate to have Aaron Krueger who is a gifted instructor. Over two sessions, he was able to provide one critical principal that has changed my game. It is no surprise that it boils down to grip and stance, alignment and tempo. It has been a revelation. This round occurred without my usual blow up holes, and I was surprised by the score at the end. 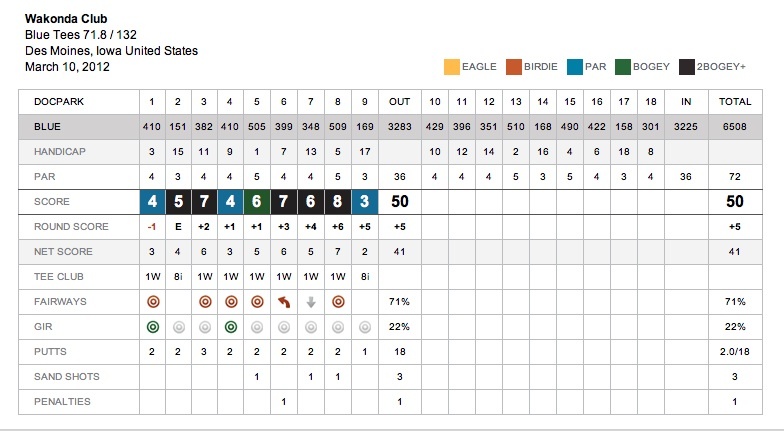 And this has been no fluke -I have repeated it this past week and today, on a casual nine, I shot 46 despite a pair of double bogeys and a triple bogey. 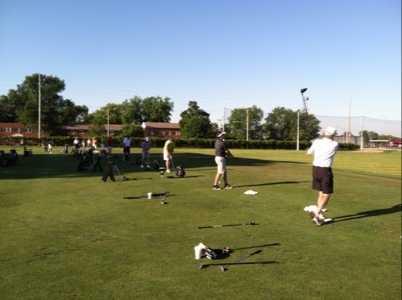 There is no question that professional instruction is the fastest way to improve. 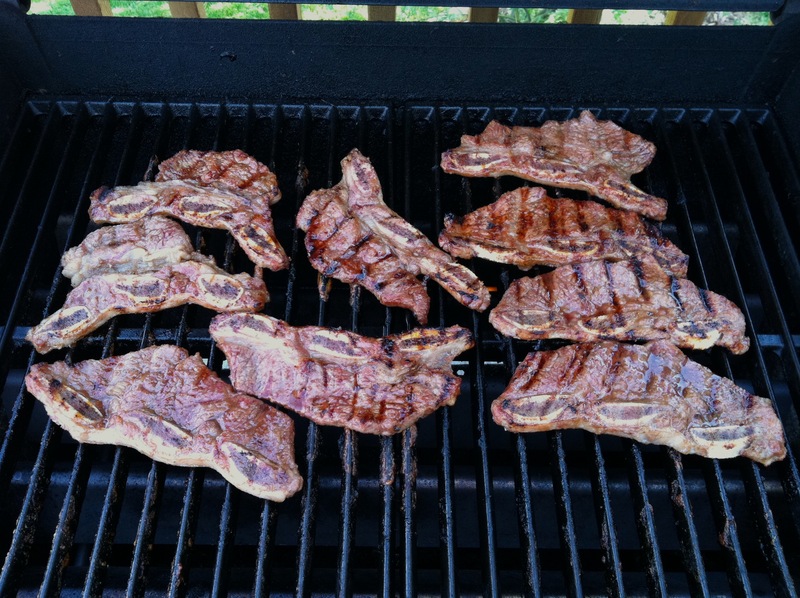 That wonderful round on Father’s day was followed by swimming with the family and then a barbecue at home of L.A. Galbi, a Korean-American dish that I’ve always had in restaurants but never at home until I came across a recipe on Maangchi’s web site (link). It was clearly one of the best father’s day’s I’ve ever had. The hole is 178 yards long from the blues, slightly downhill and depending on the prevailing winds needs anything from a 7 iron to 3 hybrid. It’s an easy 3 if you just let the clubs do their work, but try to muscle this hole, a 5 or worse awaits. The grass is amazingly perfect. I want to walk barefoot. 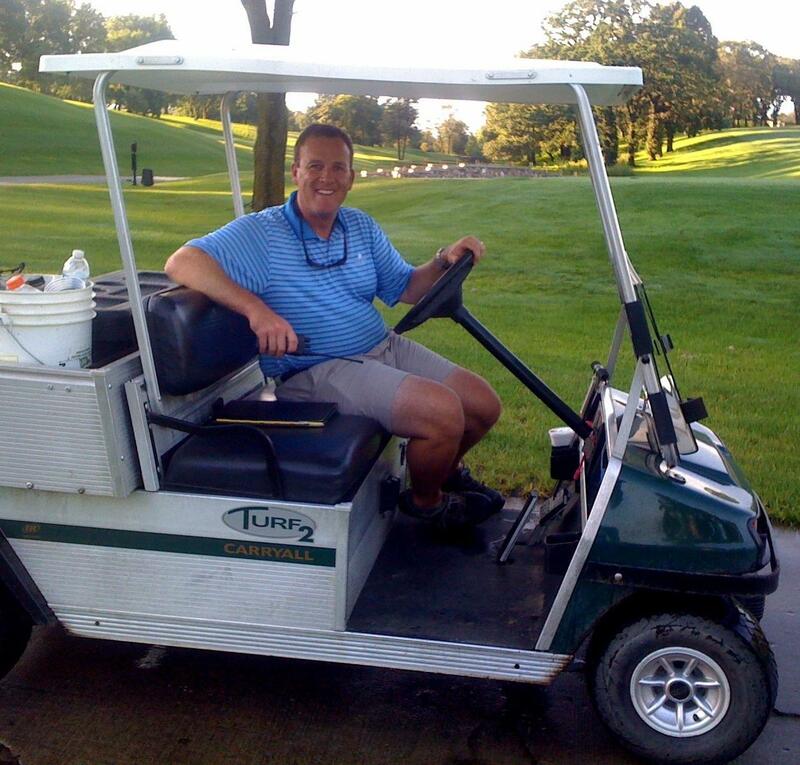 This handsome gentleman is John Temme, the Grounds Superintendent at Wakonda Club. He is up before dawn every day grooming the course into a quality that I have not seen matched often in my golf travels. It is with his leave that I can play sunrise golf before his crew get to the holes. He has a golfer’s mind with regard to maintenance which really lets the course be front and center for the player. Despite heavy play, for example, the greens are still amazing (please repair ball marks even on away courses). He maintains a great blog: http://wakondagrounds.blogspot.com which I think is of interest to anyone who maintains a lawn -a great big 40 acre lawn. Only a month ago, we had 5 foot tall snow drifts. This greenery reminds me to be grateful to have another spring on this earth.